As the human body’s largest organ, our skin is also our greatest protection. 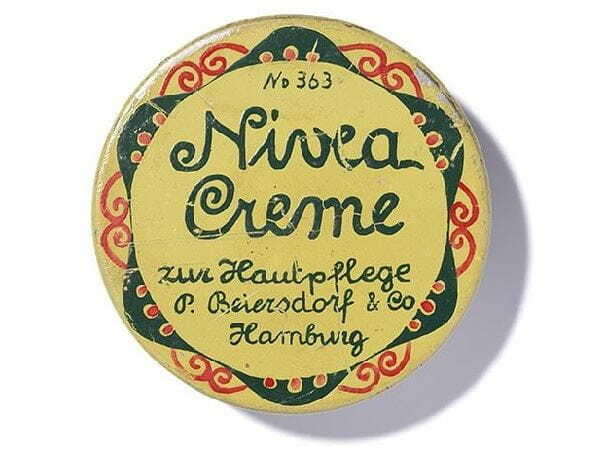 NIVEA demonstrates which tasks the skin undertakes and why it is the mirror of our soul and deserves particular care. One of the skin’s main tasks is to protect the body from external stimuli. It envelopes us like a coat and ensures that we are not immediately hurt under pressure or impacts. It also warns us of danger such as high levels of heat or extreme cold by means of its sensors using pain or itching. As a temperature regulator, the skin is also responsible for keeping a constant temperature within the body. When it is hot, the circulation of blood in the vessels increases and heat is released. If this is insufficient, the skin sweats and cools the body down. If it is cold, the opposite happens: the skin pumps less blood through its veins in order to keep the warmth within the body. This is why when it is cold, our hands and feet are the first to freeze. Our skin also works to protects us from sunlight. If you go out in the sun’s rays, the skin can develops a thicker rough layer and dark pigmentation – tanning. Both act as a filter that allows the harmful UV rays to penetrate the skin to a limited extent. Damage caused by sunlight can be partially repaired by the skin itself, however, it needs time to do it. To support the natural protective functions of the skin against sunlight, when spending extended times in the sun you should always use a sunscreen with an adequate sun protection factor (SPF). The uppermost protective layer is the epidermis, which can be subdivided into five individual layers. The acid mantle is found on the epidermis. It keeps bacteria away and allows water to drip off the skin. Below the epidermis are the five individual layers: the lower two constantly supply the upper three layers of the epidermis with new skin cells. The dead cells are removed by the outer rough layer. This is how our epidermis renews itself on roughly every 27 days. Under the epidermis is the dermis: It has a dense network of elastic fibres, nerves and tiny blood vessels running through it. These blood vessels regulate the body’s temperature. The dermis supplies the epidermis with nutrients and oxygen. This is also where the sebum, sweat and scent glands are located. The third layer of skin is known as the subcutis. This is mainly made up of tissue and fat. The subcutis acts as a cushion from external bumps and is an important energy reserve. It links the skin with the tendons and muscles below. The skin is our largest and heaviest organ: it has a surface area of two square metres, weighs around ten kilograms and yet is only a few millimetres thick. As a sensory organ, the skin is responsible for our sense of touch. It warns us of external stimuli and transmits sensations to the brain. The central nervous system and the sensory organs, which also include the skin, develop from the primary cell layer when we are still embryos. This allows the unborn child to interact with its environment via the skin even while still in the womb. Touch is essential for human’s well-being. Receiving loving touches is essential for babies and children. Touch promotes the development of the brain and the distribution of growth hormones. Adults also benefit from gentle caresses. These release endorphins (happiness hormones) and reduce blood pressure. Touch has a calming effect and has a positive influence on our emotional life. If we are stressed or lack human closeness, the skin often reacts by turning blotchy, becoming dry or developing impurities. All forms of touch – whether pleasant or unpleasant – are perceived first by our skin. The various receptors conduct these sensations on to our brain. Every form of physical contact has an effect on our psyche: hormones and messenger substances are released. This is why we generally perceive hugs, caresses and massages as pleasant and positive. Positive emotions promote circulation in the skin and activate the muscles used for laughing. The result? A fresh-looking complexion…and a good mood! The skin is the mirror of our soul because if we blush or turn pale it shows our emotions to our companions.